Made of 100% Fandom Material. 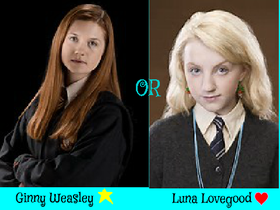 Ginny Weasley or Luna Lovegood? Vote!